See the Abaco Luxury Homes for Sale in the Bahamas below! 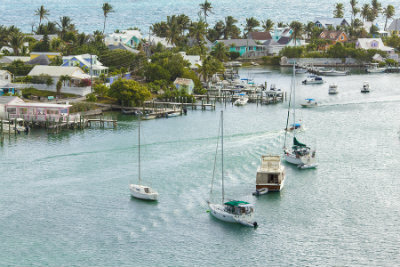 The Abaco Islands are comprised of Great Abaco and Little Abaco along with numerous other small islands and sandy cays. This stunning tropical location is among the outlying islands in the Bahamas and offers the true tropical island experience. Home buyers will find an absolutely beautiful selection of some of the most picturesque and luxurious properties found anywhere in the Caribbean. These incredible properties take full advantage of Abaco's more relaxed atmosphere, away from the hustle and bustle of Nassau. The waters surrounding these stunning tropical islands offer some of the best snorkeling around - don't miss your chance to live a life on vacation in the Bahamas! View all the latest Abaco Luxury Homes for Sale available below, or read on for a taste of the luxury island lifestyle that could soon be yours on the Abacos! The luxury properties found throughout the Abaco Islands truly embody the tropical paradise they reside in. Positioned along some of the most picturesque locales imaginable, home buyers will be able to look out their windows at a tropical paradise in all directions, gently swaying palm trees, shimmering emerald waters and pristine white sand. The incredible estates are expansive in size and utterly exquisite in their minute details. The beautiful Abaco Island luxury real estate places home owners in a fantastic position to explore and enjoy all the islands have to offer, from sailing and scuba diving to simply wandering down the gorgeous beaches! Many homes feature private beaches, or private deep-water docks. Unreal tropical setting waiting to be explored. Access to 3 world-class golf courses. Feel free to contact Team Dupuch online or call 242-1811 to connect with a local Abaco luxury real estate specialist!